All the songs are very familar which is nice and to hear Harry's smooth and soothing voice remake them, adds more appeal. To hear samples of each song via Amazon click below. I think he did a fantastic job on each and every one. Harry has such a great vocal talent that anything he would deliver in his usual way would be music to my ears. As I was listening, I felt an urge to pour a glass a wine, shut my eyes and relax. 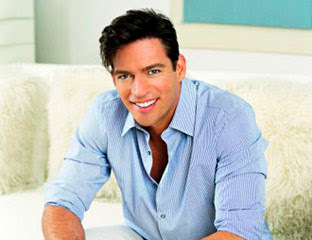 Here are additional resources from Harry's website and become a fan for the latest news and updates. Harry received an honorary Doctor of Humane Letters at Tulane University's 2009 Commencement on May 16th. First film score When Harry Met Sally. Acted in Memphis Belle (debut), Little Man Tate, Copycat, Independence Day, Hope Floats, voice in My Dog Skip and The Iron Giant, Simian Line, P.S. I Love You as well as many others. Album sales over 25 million. 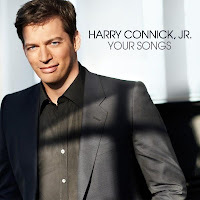 The list goes on and on and if you are a Harry Connick Jr. fan, you will want to buy this. Be forewarned that it's not like his usual original work but it does have the Harry touch!